If the correct health and safety procedures are not followed within a factory environment, employees can be at significant risk of falling victim to an accident at work. It is therefore important that employers are vigilant to help ensure that the risk of injury to their factory workers is minimised. If you work in a factory and have been injured in an accident that was not your fault, you may be entitled to pursue a claim for accident compensation. To find out if you have a valid claim, we can provide you with a free case assessment. This is conducted over the phone and is provided without any obligation to proceed. An experienced work accident solicitor will discuss your accident and provide answers to any questions you have about your case or the claims process. If we can help, we will provide you with a no win, no fee service. This means that there are no upfront fees, and if for any reason we are unable to win your claim, you won’t pay us a penny. Figures published by the Health and Safety Executive show that between 2012/13 and 2013/14 around 70,000 people per year sustained an injury at work within the manufacturing industry. Is my employer at fault for my factory accident? To be able to make a successful claim for compensation following a workplace accident, it must be possible to prove that your employer was at fault for your accident. Your employer has a legal duty of care to provide their workers with a safe work environment. The employer is legally obliged to minimise risks of accidents and injuries at the workplace through rigorous and frequent risk assessments and the employment of safety measures to minimise hazards. 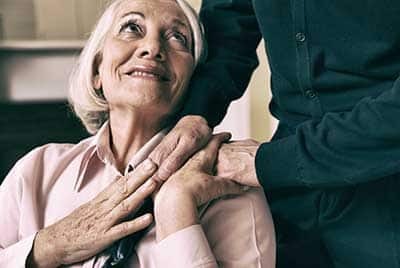 If an employer fails to take these measures to protect workers from harm, they will be liable to pay compensation if an employee suffers an illness or injury in the workplace. If you believe that your illness or injury was caused by a breach of your employer’s duty of care, contact us to discuss initiating a claim for compensation. We would be pleased to offer you a free assessment of your case and provide guidelines on how much compensation you are likely to be awarded for your factory accident. 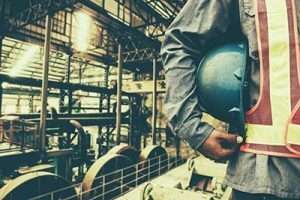 If an employer fails to meet the requirements set out in these regulations, and it results in an accident or injury being sustained by a factory worker or visitor, they can potentially be held liable for compensation. The aim of a personal injury claim is to compensate you for the pain, suffering and financial losses caused by the negligence of another person or company. So the amount of compensation that is awarded can vary massively, as it is judged on a case by case basis, taking into account your specific injury and circumstances. the cost of any medical treatments required, such as physiotherapy, medications, etc. The amount of damages awarded can also be affected by the level of liability on the part of your employer. In some cases, your employer could argue that you were partly responsible for your accident or the extent of injuries sustained. This is known as contributory negligence. If this argument is successful, the amount of compensation awarded would be reduced by a percentage based on how much your own actions contributed towards your injury or illness. All employers are legally required to maintain valid Employers Liability Insurance to cover against any work accident claims being made against them. If you are successful in making a claim, it is this insurance policy that would pay your compensation, and not your employer directly. Why choose us to work with you on your claim? We understand that for most people, making a claim for compensation will be a relatively new and potentially daunting task. We aim to ensure that our clients feel at ease and confident in our ability to achieve the highest compensation possible. This all starts with a free case assessment, which is a great opportunity for you to ask questions and get a feel for the level of service we provide. We welcome the opportunity to discuss the specific details of your case and offer guidance and advice on the likely outcome that you can expect. We do this at no charge to yourself to ensure that you can be confident in choosing our firm to manage your claim for the compensation that you rightly deserve.